With Passover less than three weeks away, matzah factories are in full gear. With Passover just two and a half weeks away, factories making matzah are working full-time to produce the unleavened bread eaten during the holiday. 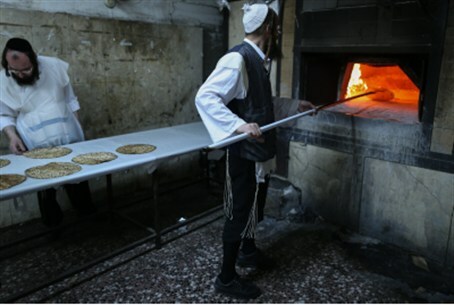 Below are pictures of a factory in the Mea Shearim neighborhood of Jerusalem where workers produce hand-made matzahs. The simple bread is reminiscent of the bread eaten by the Jewish people as they left Egypt.